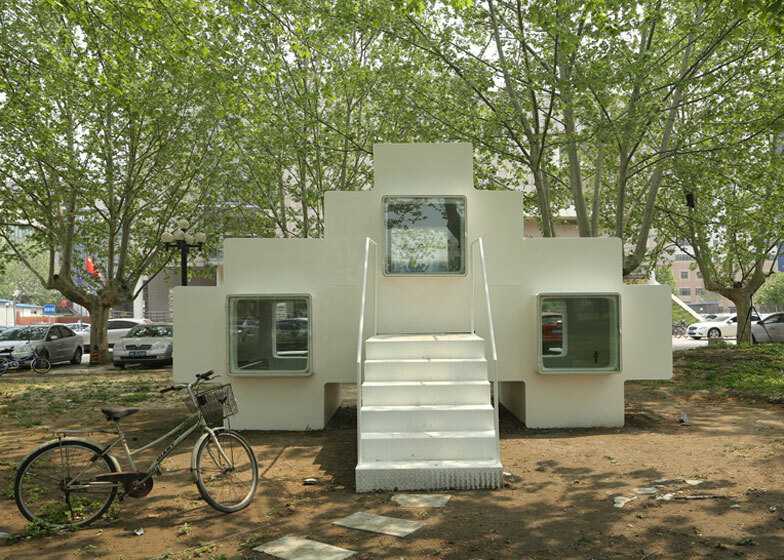 This micro house in Beijing by Chinese architect Liu Lubin comprises three cross-shaped modules that can be flipped around to turn a living room into an office or bathroom (+ slideshow). Designed as both architecture and furniture, the modules are constructed to a minimum size with just enough room for sitting, sleeping or preparing food. The cross-shaped profile creates worktops along two edges of the space, while square windows hinge open at either end and double up as entrances. Studio Liu Lubin used a fibre-reinforced foam composite for the structure of the modules, making them light enough to lift. 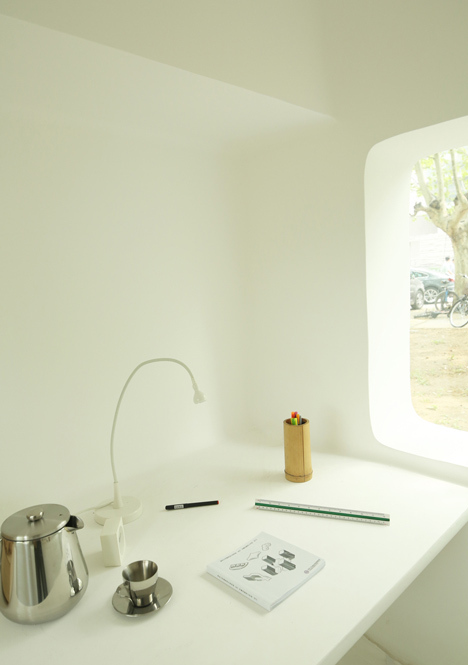 This allows residents to rotate the rooms if they need to swap simple shelves for a desk or sink. The three modules of this house contain a bedroom, a bathroom and a small office. 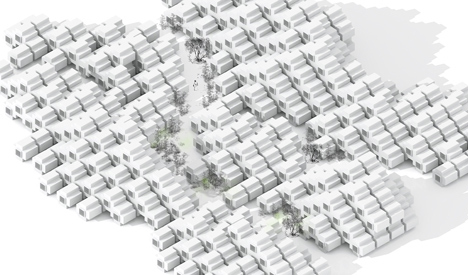 Lubin explains that more could be grouped together to make larger dwellings, or even neighbourhoods. The modules are designed to fit neatly into shipping containers and can transported to different locations. Their minute size also allows them to bypass current restrictions governing private homes in China. Lubin developed the concept as part of a research project at Tsinghua University in Beijing. Other small modular homes featured on Dezeen include a one-person cabin by Renzo Piano and a tiny floating house. See more micro homes. 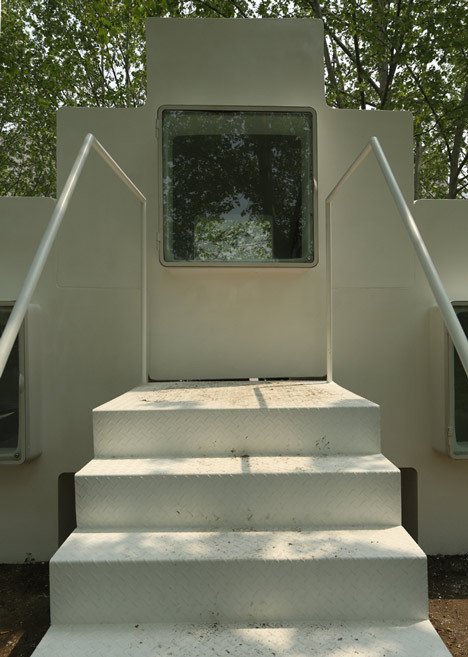 The Micro House is based on the minimum space people need for basic indoor movement, such as sitting, laying and standing. 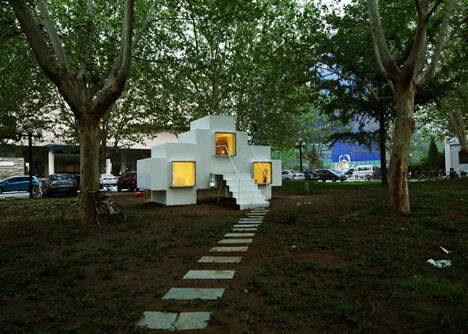 The form of the Micro House is designed to act as a combination of furniture and architecture elements. 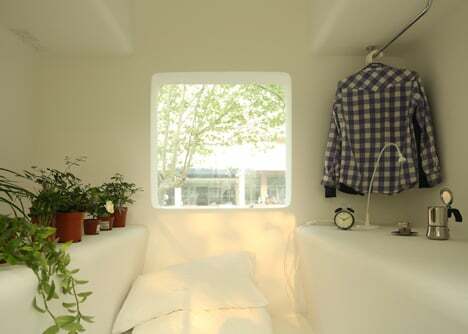 When being rotated, the unit of the Micro House will shift its space which contains all kinds of housing activities, such as resting, working, washing and cooking, etc. 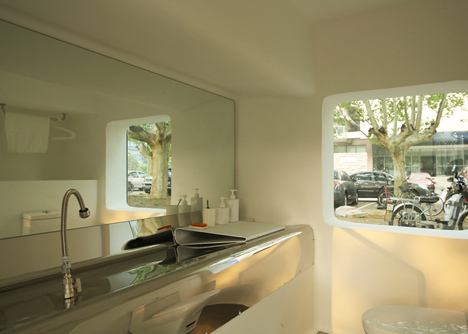 The Micro House units can not only be used as single-function rooms, but also can be grouped together as a housing suite, or even residential cluster. 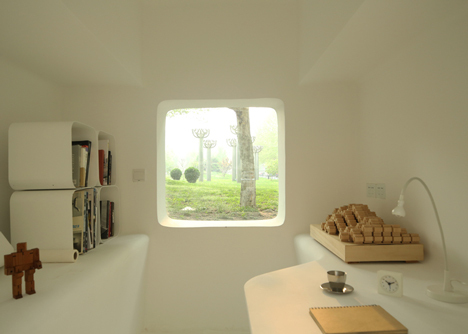 The main material of the Micro House is the fibre-reinforced foam composite structure, which is light but strong. 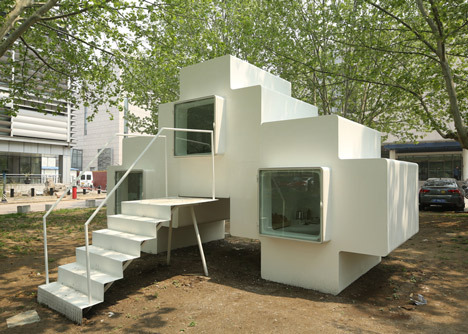 In this case, the Micro House unit can be easily lift and assembled by hand. For the convenience of transportation and replacement, the size of the unit is designed as the size of containers. 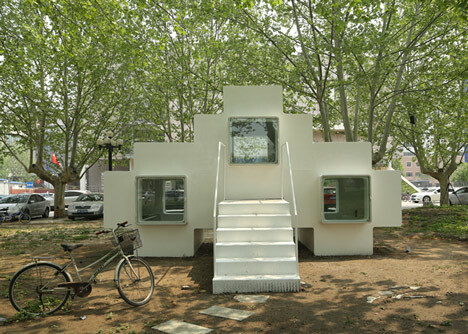 The Micro House makes it possible for people to have private housing product under current Chinese land policy.